It’s Memorial Day Weekend, which means that it’s time to change out the wardrobe for those summer only pieces that you’ve been itching to wear ever since the spring blossoms dropped their blanket of pollen over your car. 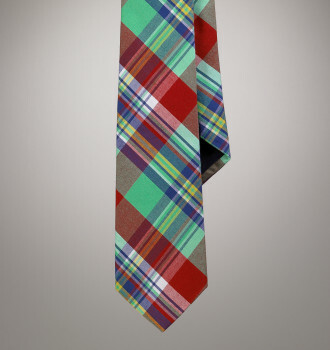 And of course, your madras ties (from Polo) — or madras in general…. Don’t forget your sunglasses and sunscreen…. This entry was posted in Elegantology and tagged clothing, summer. Bookmark the permalink. I shall be donning my seersucker suit (blue and white) and white bucks to church this week-end. 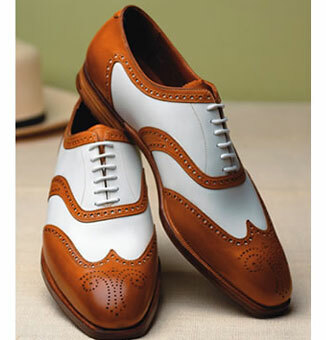 I do love the Crockett spectators. Looks like I’m going to have to spend my IRS check for a sixth time. Hoorah Aesthete! 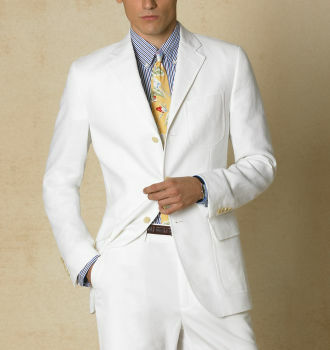 I have a white linen suit that I bought after the season last year. 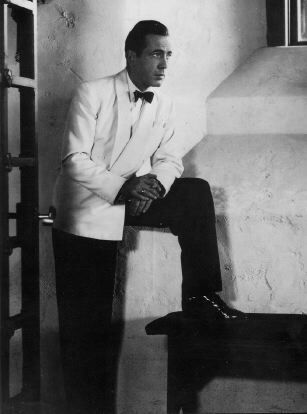 I am torn between that and the seersucker… Sunday night is dinner with friends and the white dinner jacket wins out! Turling, I an relate. Mine went to the two chimneys, though… You’ll enjoy the C&J’s better. Make the most of them! You should definitely rent/buy TWBB, not only is it an incredible movie…it’s one of those that after you see it; you feel as if you taken a new look on life. Fantastic blog! In addition to changing the wardrobe, I do something on Memorial Day that I like to call the “Changing of the Guard”. This ritual involves moving the brown liquor from the top of the bar down to the storage shelves underneath, and replacing it with the white liquor. I reverse the process on Labor Day. I find it much easier to keep track of the seasons in this way, as opposed to a conventional calendar. Have a great Memorial Day weekend indeed! Welcome Brandon, thanks. I’ve enjoyed your blog, too and encourage my readers to visit it. Click on Brandon’s name and it will take you to a link. 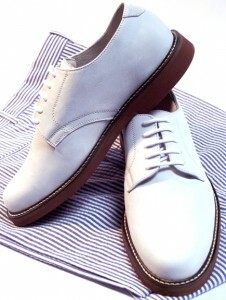 Douglas, splendid suggestion! And a fine tradition which will be instituted here as well. Gentlemen, you heard Mrs. PvE. We have a duty to uphold. Thank you Mr. Pincus, did I miss anything? I think I have a new crush on Douglas. I was so looking forward to wearing white this weekend…and then came the rain. Next weekend! Of all those you’ve listed – I shall definitely get out the straw hat and for us in Hong Kong – its sunglasses and sunscreen all year round!